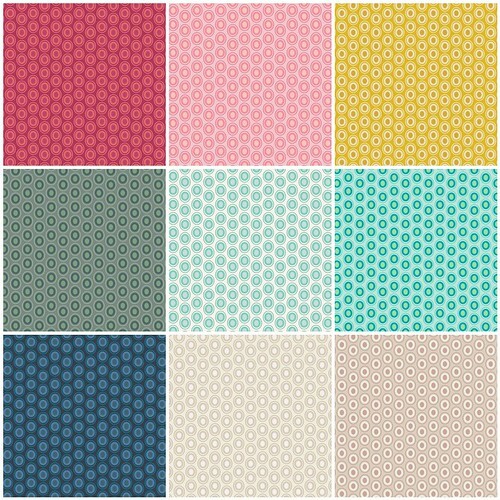 Today I'm here to share the coordinating blenders and solids that match Curiosities, which is arriving in shops now! 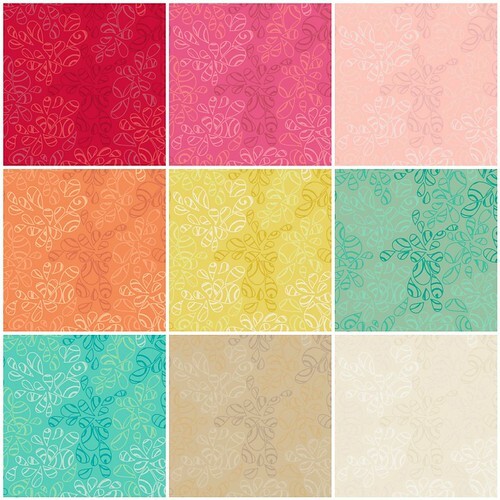 Art Gallery Fabrics has lots of beautiful blenders that work well with this collection. Pure Elements: PE-405 Cherry Lipgloss, PE-404 Festival Fuchsia, PE-450 Grapefruit, PE-420 Crystal Pink, PE-406 Burnt Orange, PE-449 Mandarin, PE-448 Canary, PE-412 Tender Green, PE-452 Spruce, PE-424 Mirage Blue, PE-451 Icy Mint, PE-455 Royal Cobalt, PE-428 Nocturnal, PE-445 Mink, PE-440 Macchiato, PE-433 Snow. Prisma Elements: PRE-805 Passion Garnet, PRE-803 Soft Wulfenite, PRE-806 Apricot Sunstone, PRE-807 Solar Quartz, PRE-808 Larimar Sea, PRE-810 Sapphire Sparkle, PRE-801 Matte Zirconia, PRE-802 Albite Latte, PRE-811 Pearland Gold. 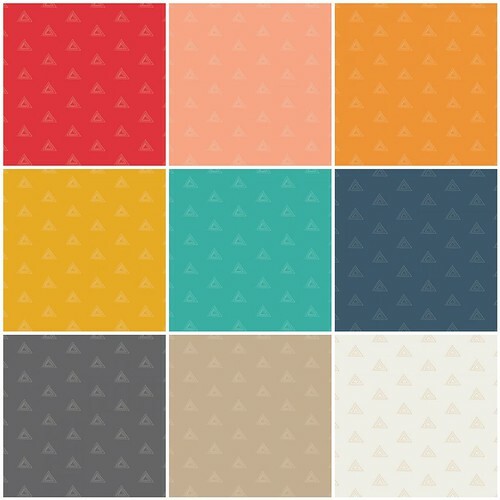 Squared Elements: SE-608 Pomegranate, SE-601 Rosewater, SE-615 Mandarin, SE-609 Citrine, SE-604 Seafoam, SE-605 Turquoise, SE-611 Navy, SE-614 Almondette, SE-616 Carbon. Oval Elements: OE-913 Cranberry, OE-922 Parfait Pink, OE-911 Golden, OE-936 Sage Meadow, OE-920 Mist, OE-900 Peacock, OE-916 Mood Indigo, OE-931 French Vanilla, OE-912 Cappuccino. 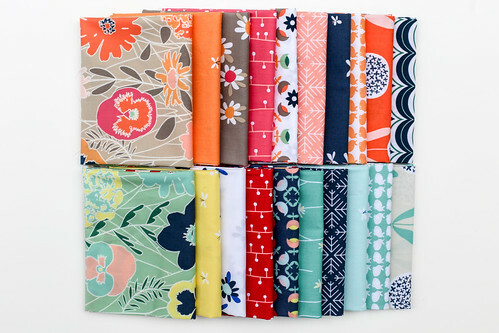 Nature Elements: NE-117 Hibiscus, NE-111 Hot Pink, NE-109 Veiled Rose, NE-106 Orange Peel, NE-105 Mimosa, NE-113 Blue Green, NE-118 Caribbean Blue, NE-115 Biscotti, NE-104 Natural. 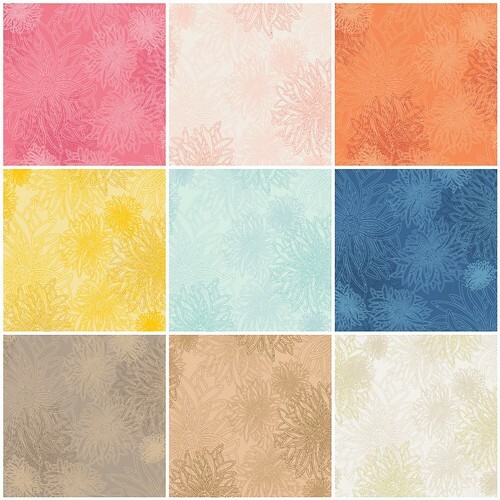 Floral Elements:FE-528 Bubblegum, FE-518 Ballerina, FE-525 Tangerine, FE-520 Custard, FE-519 Icy Blue, FE-510 Lapis Lazuli, FE-516 Khaki, FE-522 Cookie Dough, FE-533 Winter Wheat. 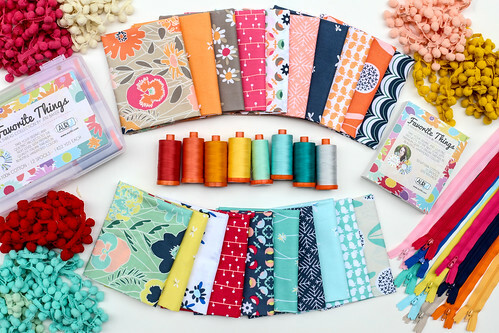 Other: A number of threads in my Favorite Things Aurifil Thread Collection coordinate with Curiosities. 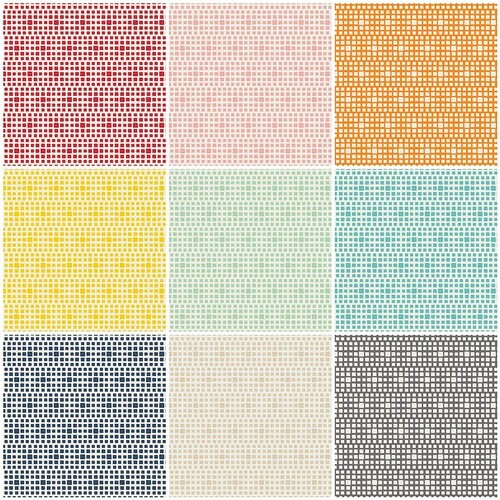 Don't forget Aurifil embroidery floss is available in the same colors as their regular threads! I was also able to find coordinating zippers from Zipit, and the pom-poms have been collected over the years. This is such a super yummy and scrumptious line, I can't wait to get my hands on some! I didn't see any pom-poms in ZipIt's shop. Did you buy them recently? Beautiful line Jeni, looking forward to buying it! I seem to have quite the collection of your fabrics lol! 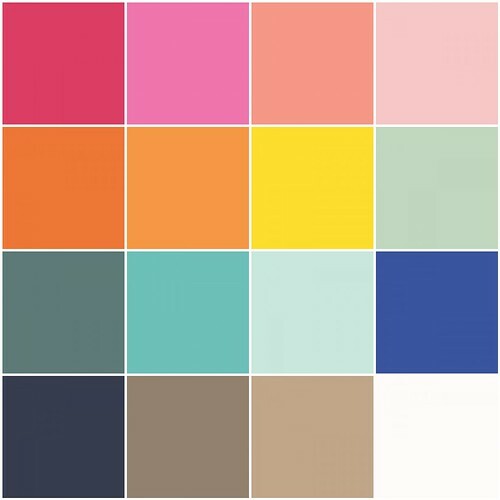 All my favorite colors - yippee!